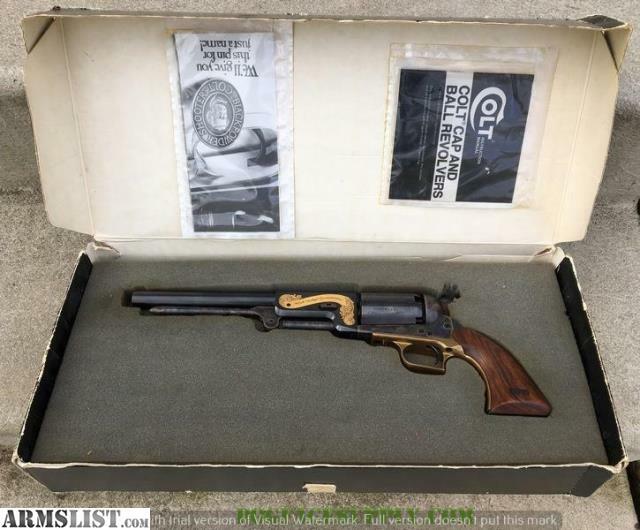 ARMSLIST - For Sale: Colt Walker Heritage 2nd Generation / New in Box/ Beautiful! For Sale: Colt Walker Heritage 2nd Generation / New in Box/ Beautiful! For sale is a Colt Heritage Collection 1847 Walker. It has all the markings of a Company C Cavalry Walker. Plus it has gold inlaid Sam Colt and Sam Walker and The Colt Heritage Collection. This is new in the box. Looks to have never been turned even. The box is a little rough, but has the original manuals (unopened) and the original serial numbered end label. Absolutely gorgeous 2nd Generation Colt. HEAVY! There were 1,850 of these made from 1979-1981 only. $600.00 plus actual shipping or 6% VT sales tax in Vermont ONLY. I do NOT charge over my cost to ship! Email me at REDACTED or call Shawn at REDACTED. This is black powder, so NO FFL NEEDED. I will require a copy of your ID though. Must be over 18 to purchase. I take personal checks with adequate time to clear MY bank, USPS money orders, discreet Paypal gift, NO credit cards on this. It is my personal gun . I am an 01 FFL. Please go to my website, www.dogfacesupply.com , and scroll all the way down to learn the actual California C&R FFL laws. I am a Military Arms and Equipment collector and dealer. I am Federally licensed, so I am able to legally travel to your home to purchase guns. I buy, sell and trade. I am looking for ANY Military weapons or equipment of any country. I like Spanish-American War, WW1, WW2, Korean War, Vietnam War, and any period in between. This includes Civilian arms also. Colt, Winchester, etc. M1 Garands, M1 Carbines, M1903, M1903A3, M1917, M1898 Krag, anything Colt, Remington Rand, Ithaca, US&S, Singer, Remington UMC, Mosin Nagant, Luger, K98, P38,etc. 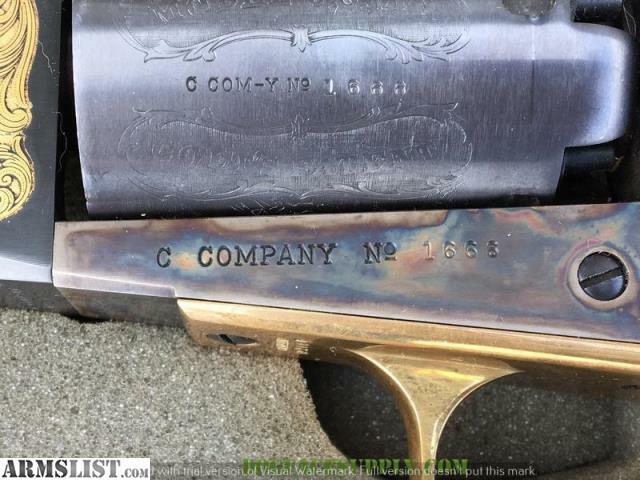 plus commercial Colt, Winchester, etc. 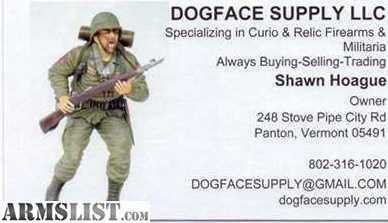 I can also get you any type of new firearm or ammo. Call or email. Credit Cards gladly accepted at 3.5% charge. Visa/ Mastercard, American Express and Discover.